China is set to adopt a controversial cyber security law after Members of Parliament conducted a second reading of the new rules that carry significant consequences both for foreign and domestic business and put greater censorship in jeopardy. Widespread regulations over the internet are regularly enforced in the country, and Parliament has sought to codify the draft rules into law. Chinese laws often undergo multiple drafts before they are approved. Xinhua, China’s official news agency said the draft, submitted to the National People’s Congress (NPC) committee, wants network operators to accept both public and government supervision and abide by social morals. It also reiterated that “critical business data” as well as personal data of Chinese citizens must be stored locally; adding that individuals wishing to make that information available overseas faced a security evaluation from the government. Parliament is yet to publish the complete second draft of the cyber security law, and it is not entirely clear when it is going to be passed. 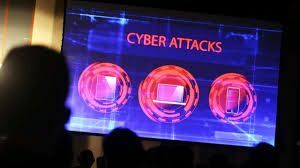 Cyber security has been a predominantly irksome area in the country’s relations with its economic partners like the European Union, United Kingdom, and the United States that see many freshly proposed laws as unfair to overseas firms. Officials in Beijing say internet restrictions, taking in the blocking of well-known sites such as Facebook and Google, are needed to safeguard security against increasing threats like terrorism. The cyber security law’s first draft, published about twelve months ago, strengthened user privacy security against data sellers and hackers. However, it also enhanced the powers of the government to access and thwart dissemination of confidential information records that it deems illegal. The country’s broadly defined rules have been a great source of concern, in particular to foreign governments, rights activists, and multinational companies. They worry that the Chinese government is likely to interpret the law as it considers it fit. Some companies in the country are also feeling the unpleasant effects that the controversial law might bring along should it come into effect. To tighten internet control, Chinese regulators set limits on the number of well-paying healthcare ads conducted by Baidu Inc. following the death of a student after an experimental cancer treatment that he uncovered using the largest internet search engine in the country. 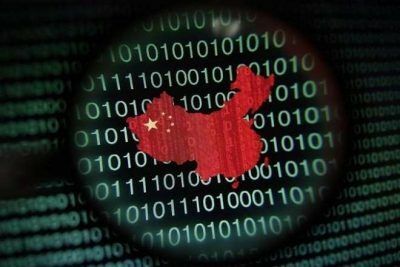 The latest draft of the controversial cyber security law aims to see to it that site operators, whether domestic or foreign, heed to the Chinese “social morals” and also accept government censorship. The effects of this new law are expected to be felt way beyond websites. The country’s leading news agency, Xinhua, reported that the law requires all “critical business data” and personal data of Chinese citizens to be stored domestically. And, anyone wanting to do business in the country must first submit a security audit to ensure they are compliant. Under this law, the cost of conducting business in China will increase for most cloud providers. Though China is a big market, the economic and moral costs of such a law are also enormous, and they might instigate Western companies to doubt the need of doing business in the country greatly. In the United States, companies would push back on such “Big Brother” laws. Here, providers cater for their customers’ privacy more than the rights of government agencies to access data, leave alone monitoring it. That is very evident in Apple and Microsoft actively resisting US government spying efforts.